Budapest is a city rich with delights. Should you be in need of culture, architecture and beautiful sights, or thermal pools, street cafés and vibrant nightlife, this city seems capable of offering something for everyone. 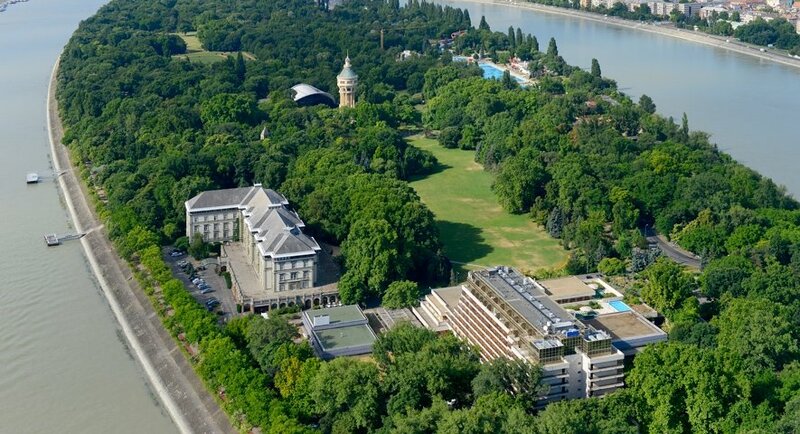 Here are just some of the pleasures awaiting you in Budapest. 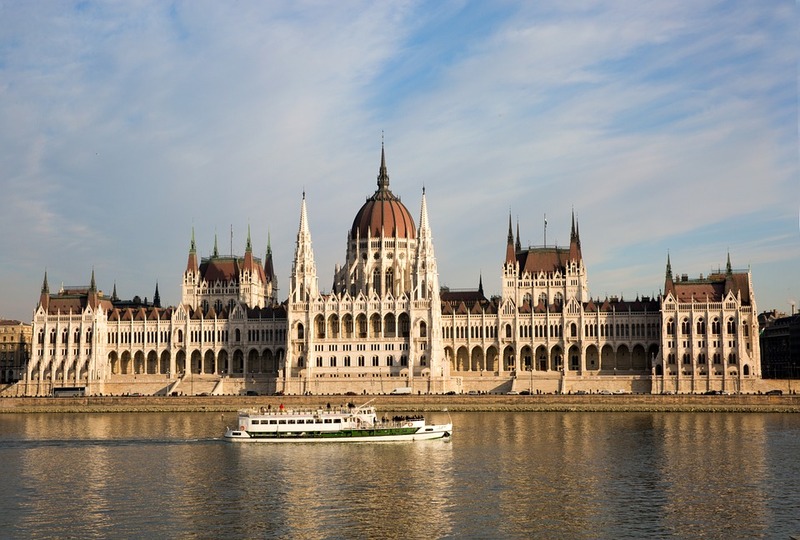 There are many restaurants and buffets in this city where a visitor can sample the famous Hungarian cuisine. Hungarian food has many original elements, but also within the staples of everyday life, there are dishes and tastes that reflect the melting pot of the Austro-Hungarian Empire. Today, in addition to this rich heritage, you can find many cuisines from all around the world: American, Mexican, Italian, French, Chinese, South-East Asian, Japanese, etc. A Journey on the Number 2 Tram. 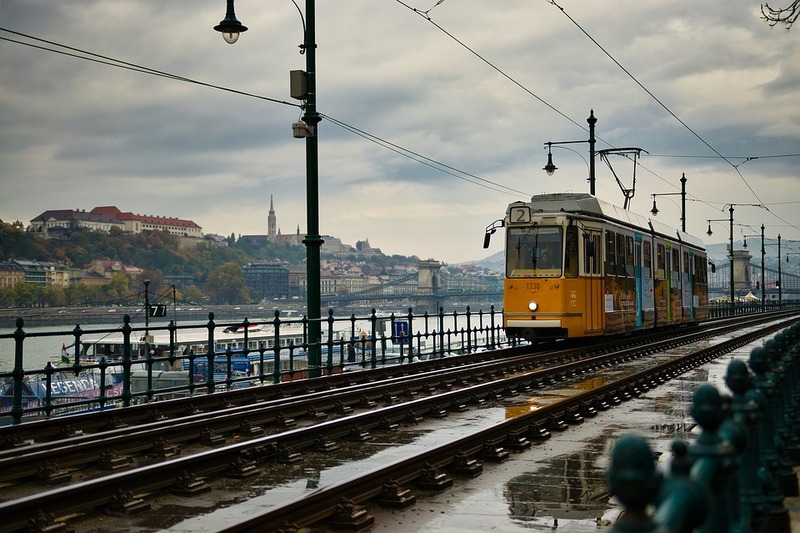 The Number 2 Tramline runs along the edge of the Danube, and offers a wonderful view of the Buda Castle, the Chain Bridge, Liberty Bridge, as well as curving all around the Parliament Building. Of course, you might have to ‘hop on and off’ at a few places. 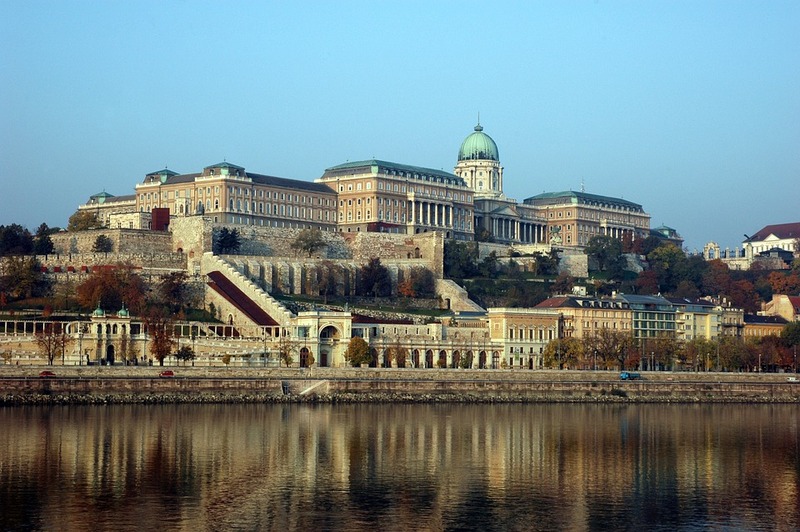 Along the way there are glimpses of palaces, academies, churches and the passing boats on the river Danube. 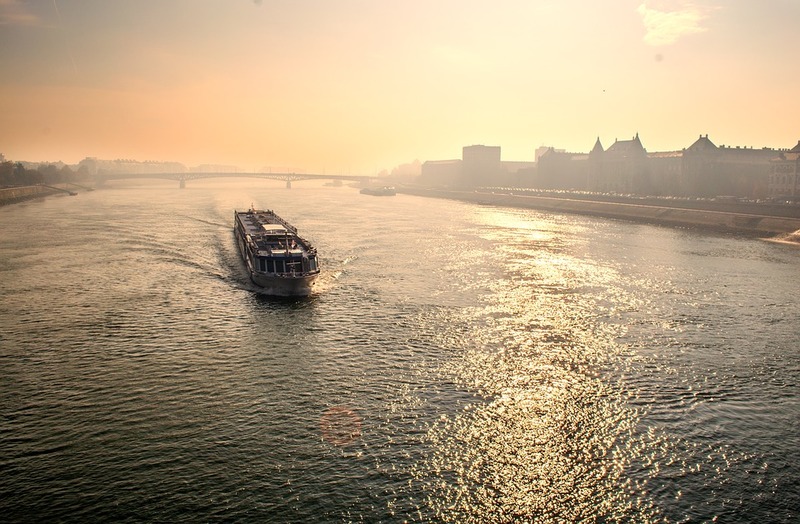 The island is a magical paradox: it is situated right in the middle of the Danube, and from each of the island’s shores, one can view the streets and buildings of Buda and Pest. And yet, the island offers a quick escape from the city, without ever having to leave it. Here you will find warm swimming pools, tall trees, green pastures, places to sunbathe and picnic, bicycles for hire, and some great places to meet friends and drink a cool beer. There is even a hotel on the island. The Ice Rink of the City Park. 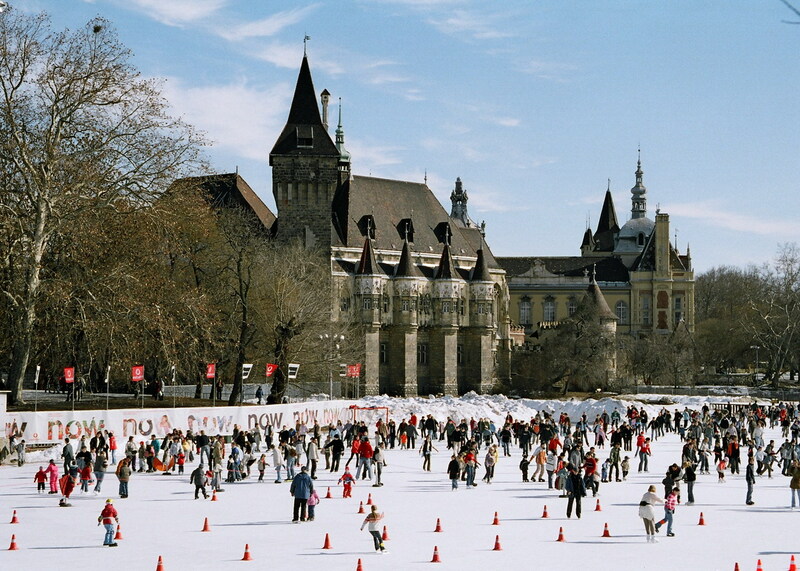 Situated beneath the ramparts and turrets of a replica Transylvanian castle, ice skating here is dramatic and beautiful. It is especially atmospheric when the winter night draws in and the castle is lit up. A replica based on the designs of a real Transylvania castle, any visitor might be forgiven for letting the strange beauty of the place recall all things Count Dracula. 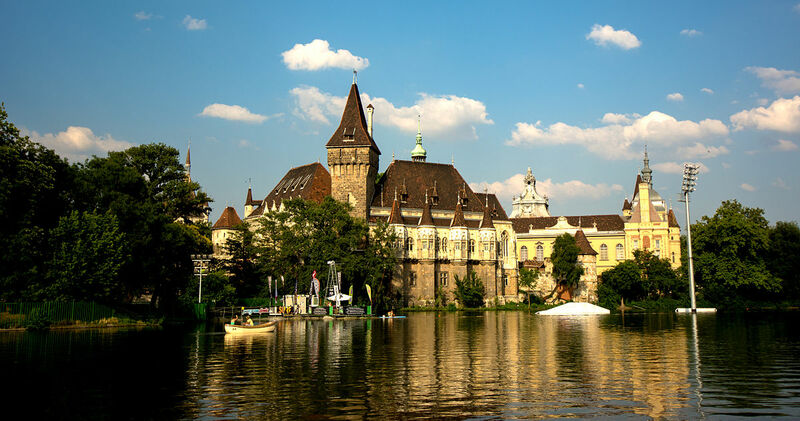 The castle is situated on the City Park (Városlíget), and can be visited while taking in the zoo, the amusement park, the ice rink, Széchenyi Thermal Pool or Heroes’ Square. 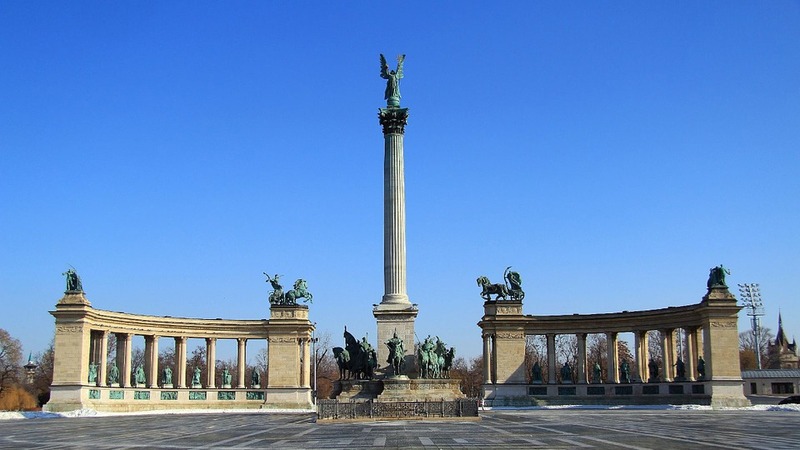 Visiting Heroes Square is probably on the ‘to do’ list of every visitor, but there is also Vörosmarty Square, Liberty Square (Szabadság tér) and Saint István square. Vörösmarty Square is a great place to take a coffee and cake in summer, or to drink mulled wine in the winter when the Christmas market there opens. Liberty Square is a secret hideaway in the summer, for those that wish to lounge on the grass or drink an ice-cold beer with friends. Saint István Square offers many wining and dining opportunities, and all of them with the dramatic backdrop Saint István Basilica. Quite simply, the winding, cobbled streets of the Buda Castle are an atmospheric delight. They lead the visitor to the Fisherman’s Bastion and the impressive bird’s eye view of the Danube below with its collection of bridges and of Pest across the river. 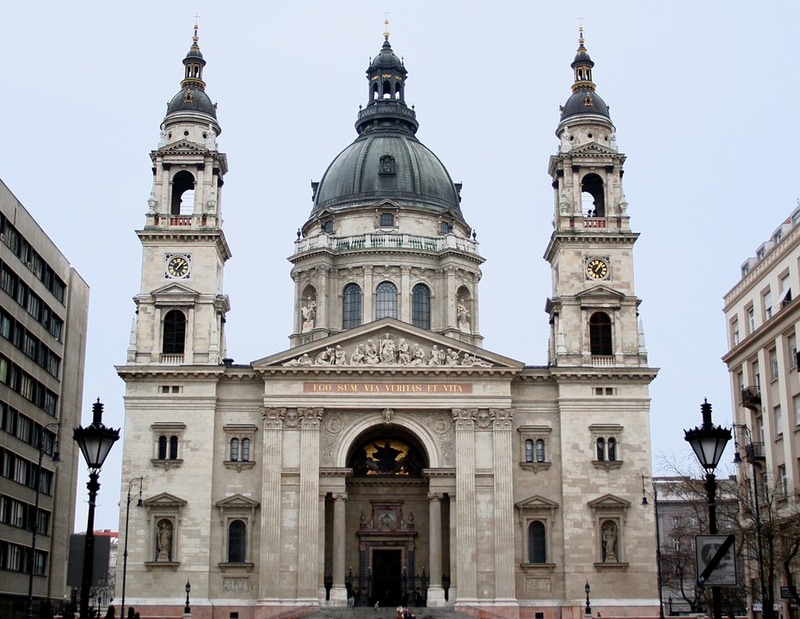 Here you will also find the ornate Matyás’s Church, The Holy Trinity Square, the enormous Buda Palace (which now houses the National Gallery) and the Labyrinth in which you can descend into the caves below the Castle District. There are art galleries, places to stay and places to eat and drink, as well as, dotted around the area, numerous interesting statues. It is hard to decided whether the country’s parliament building is more impressive on the outside or on the inside. One thing is for certain: it’s impossible to arrive in Budapest and not be struck by the building seated on the edge of the Danube, but if you have time, a visit inside the building itself is well-worth the entrance fee. For many years, the tallest building in Budapest, a journey to the dome is worth it simply for the views that it accords. Amongst all the splendour of the interior, here you can also find the medieval relic of Saint István’s mummified fist. The area nearby has been renovated, and there are also many wining and dining opportunities at hand. Coffee, Cake and a Glass of Schnapps. 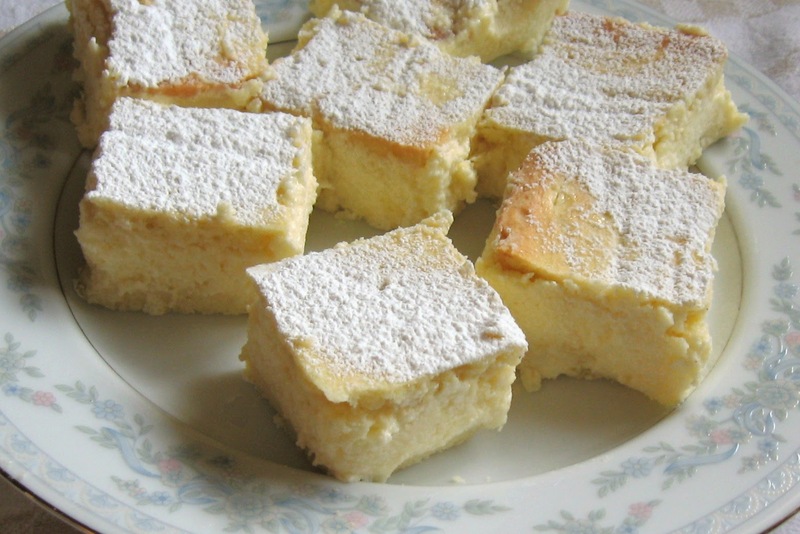 Whatever the weather, Hungarians love to partake in the eating of delicately made cakes. This is especially true on Sundays. Not surprisingly then, in order to accommodate this passion, the city has a number of great cafés where any visitor can stop by and order a coffee or something stronger. Outdoors in spring, summer and autumn, Budapest is a wonderful place to sip a drink and watch the world go by. All year round, the city is rich in musical offerings. 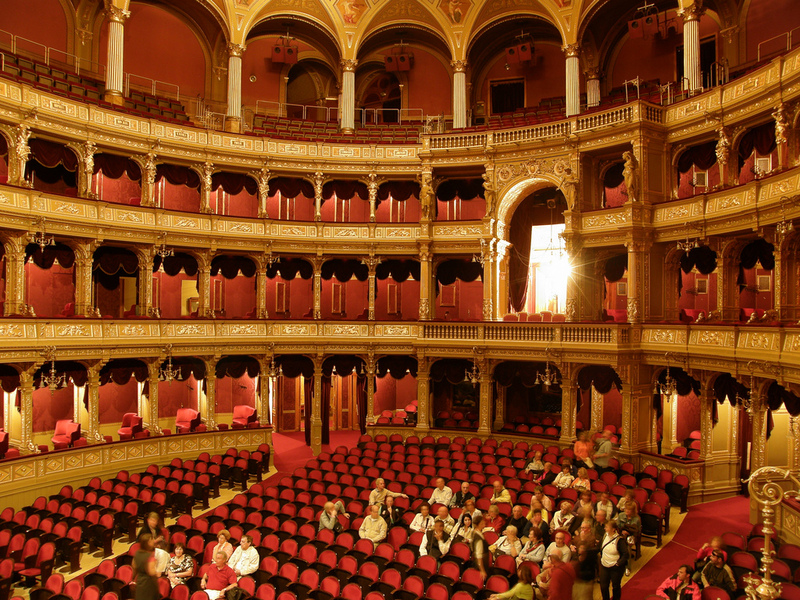 Some of the venues in which you can listen to some of the best performers in the world include the Hungarian State Opera House, Müpa and the Liszt Ferenc Academy of Music. Ruin Pubs and the ‘Party District’. 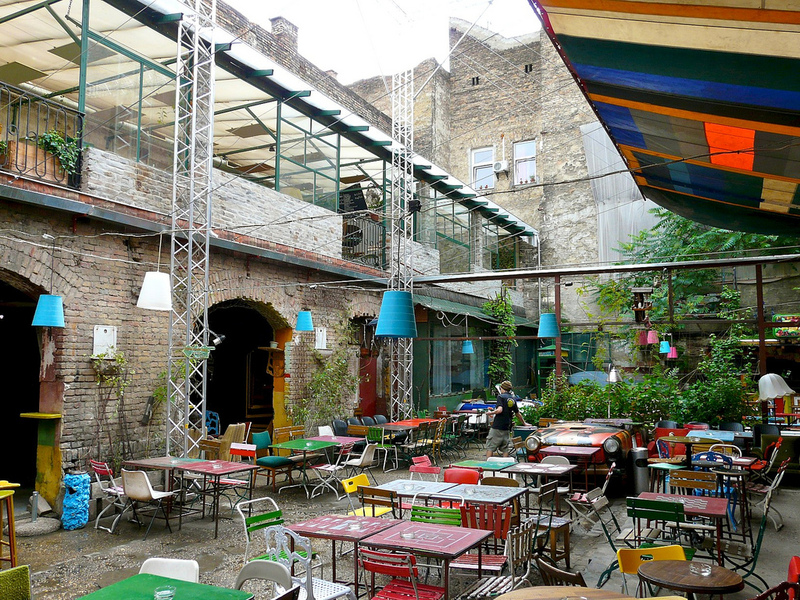 Within the 7th District of Budapest, a number of unique bars have sprung up out of ‘ruined’ apartment blocks. 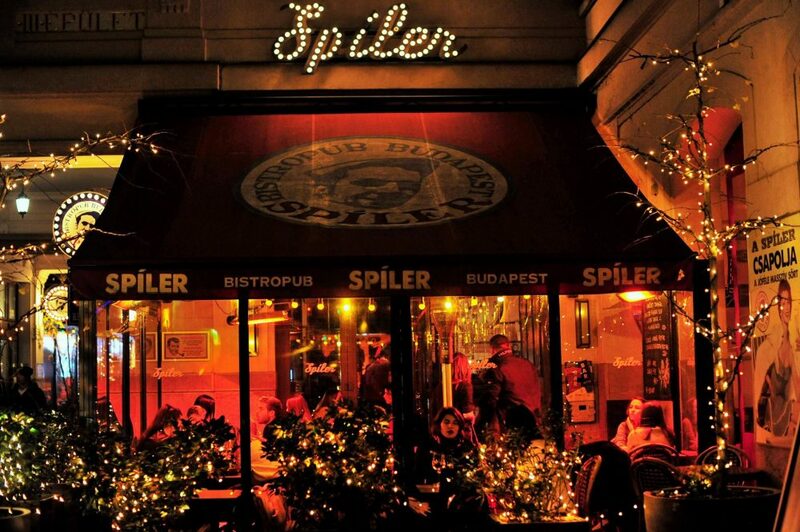 The results have been surprising, and now, some of the most interesting bars in the world are to be found in Budapest. Probably the best way to see the splendour of the city, especially at night when everything is lit up, a boat trip offers you the view with 360 degrees. Sweeping past spires and sparkling lamps, and under illuminated bridges, a boat trip is strongly advised for any visitor to Budapest. 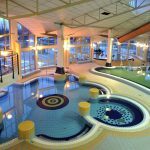 Budapest is so rich in thermal pools it almost seems unfair. Why can’t every capitol city around the world be so fortunate? The pools themselves are either grand, elegant affairs dating back hundreds of years, or more modern versions. 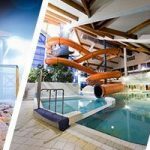 Either way, most of the pools have undergone renovation. 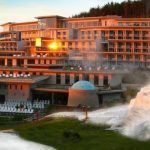 Besides the medicinal waters, saunas and steam rooms, that you might expect, there are also opportunities for massages and cosmetic treatments. 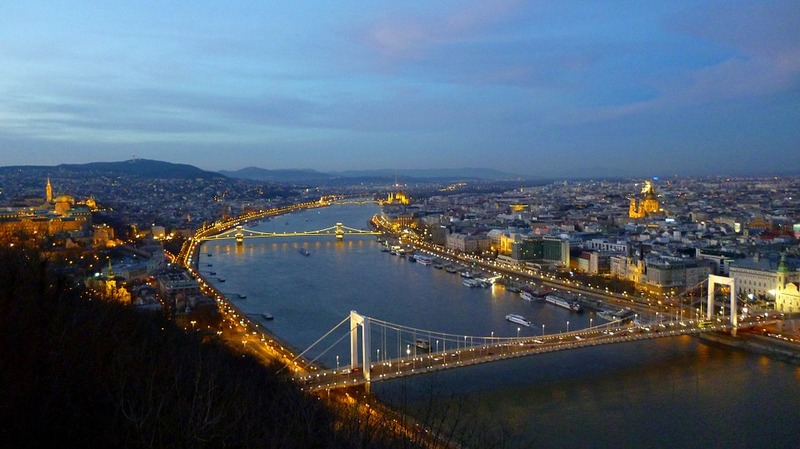 Budapest is a city of two halves: Buda and Pest. Separated by the Danube, obviously then, it has to be joined by bridges. The main bridges are all very different in their design, and as such, appear as totally different ‘characters’ spanning the river. 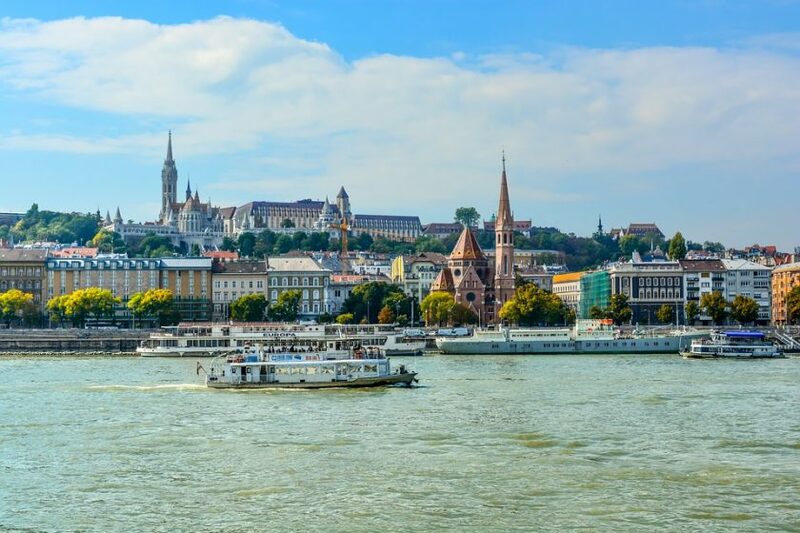 Spending a day travelling along the Danube and crossing the central bridges of Budapest is a wonderful way to get to know the city and encounter many of its famous sights. Besides the various mall’s dotted around the city, Budapest also has some elegant shopping opportunities. 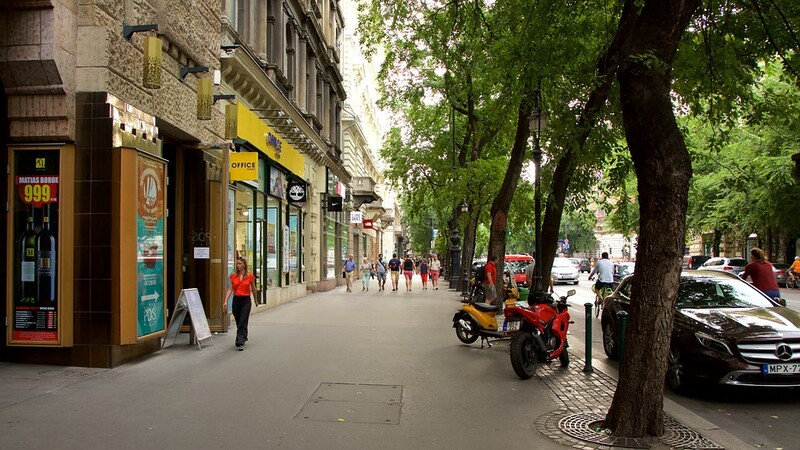 Walking the length of Váci utca, a visitor can take a coffee and croissant, or perhaps wine and dine with plenty of time to shop. Andássy út is seriously grand and beautiful on spring and summer mornings. Here you will find some exclusive designer names along this boulevard that leads all the way past the Opera House to Heroes’ Square. And by the way, for those lucky enough to experience it, the sight of the first snow of winter falling onto the Opera House at night, is incredibly romantic. 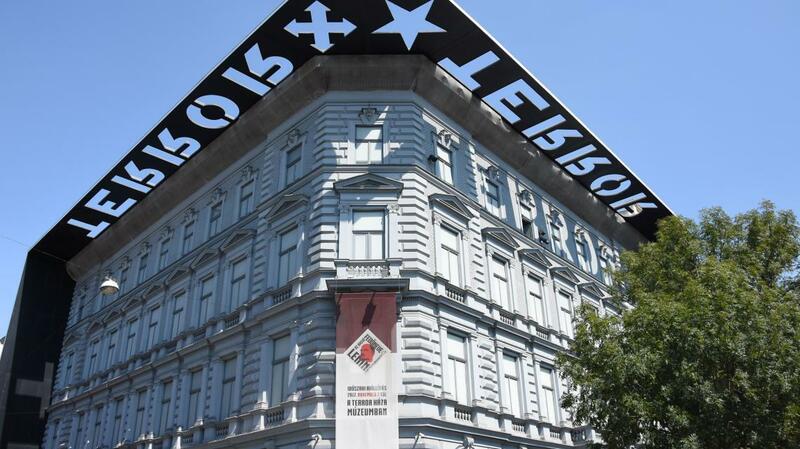 As a testament to the cruelty of mankind, and as an ever-present reminder of some of the city’s darkest days, the Terror House is a unique museum. Originally set up by the Fascists during World War 2, it was then taken over by the Communist Authorities. A political prison for many years, a visit to the cells can be a moving experience.